The poll, conducted by Behaviour & Attitudes, asked 3,800 people at 175 polling stations. EXIT POLL STATISTICS have found that three in four women in Ireland voted to repeal the eighth amendment while two in three men opted to do the same. The poll, conducted by Behaviour & Attitudes, asked 3,800 people at 175 polling stations around the country in all different areas. The poll found that 69% voted Yes while 31% voted No. 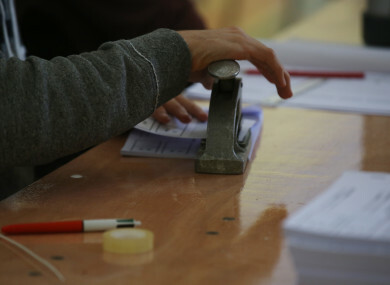 A breakdown of the RTÉ exit poll found that young people voted overwhelmingly in favour of repealing the abortion ban. The Yes side was supported in all social classes as well as by the vast majority of supporters of political parties. The only party to favour a No vote, according to the poll, was Fianna Fáíl. Just under 77% of middle class voters voted to repeal, 63.1% of working class people voted Yes while 52.5% of farmers also opted to lift the abortion ban. 34% cited the experience of someone who they know. 10% said posters affected how they voted. And 7% said it was through direct contact with campaigners. Orla O’Connor of the National Women’s Council said that, if the exit poll is correct, the result is “phenomenal”. Speaking on Morning Ireland, she said: “We want to thank every woman and man in every town, village and county who came out and voted yes. This is phenomenal. Assuming the polls are correct, this is a resounding roar from the Irish people about the horrors of the eighth. Email “Over 65s and slight majority of Fianna Fáíl voters only groups to vote No - according to RTÉ exit poll”. Feedback on “Over 65s and slight majority of Fianna Fáíl voters only groups to vote No - according to RTÉ exit poll”.